Zippo lighters with coloured (including black) finishes. 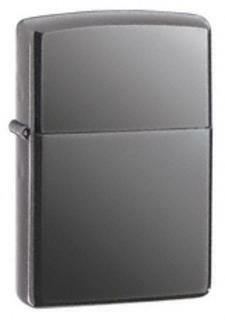 Regular profile solid brass Zippo lighter with black matte powder coat finish. 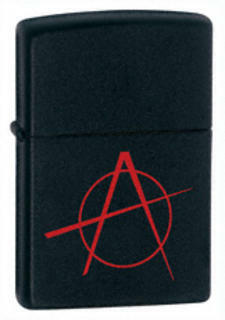 Make your statement with a black matte lighter displaying the anarchy symbol in vivid surface imprint. Regular profile solid brass Zippo lighter finished in black matte. 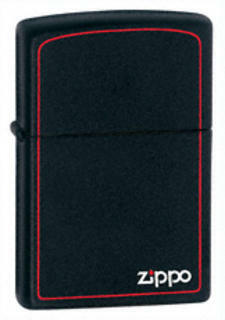 Zippo logo and understated red border accent this black matte lighter. 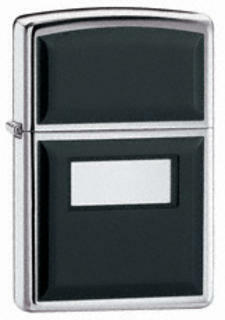 Regular profile solid brass Zippo with black matte powder-coated finish. Stylized dragon jumps out from black background. 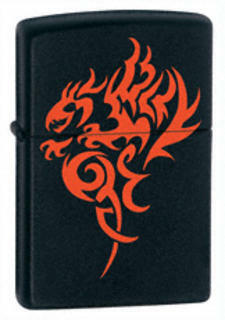 Regular profile solid brass Zippo with powder-coated black matte finish and featuring a bright red stylized dragon. This lighter took a bullet for you. 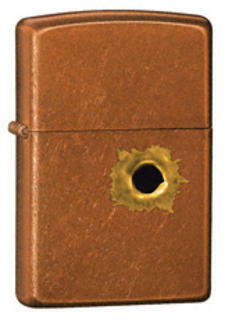 Regular profile solid brass Zippo lighter with toffee translucent powder coat finish featuring a bullet-hole transfer. Translucent finish in a classic Candy™ shade. If only your lipstick looked this good! Intense red translucent powder coat allows the lighter finish to show through. 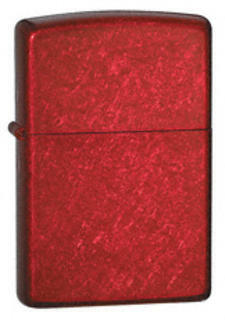 Regular profile solid brass Zippo with powder coat finish. 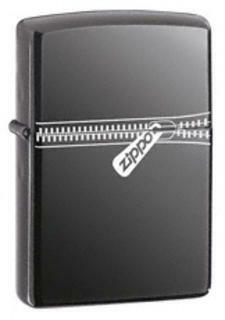 Genuine Zippo windproof lighter is packaged in a cardboard box with the famous Zippo lifetime guarantee. New jewel-toned translucent green finish. 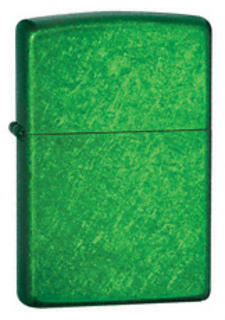 Regular profile solid brass Zippo with translucent green powder coat finish. Genuine Zippo windproof lighter packaged in a cardboard box with the famous Zippo lifetime guarantee. 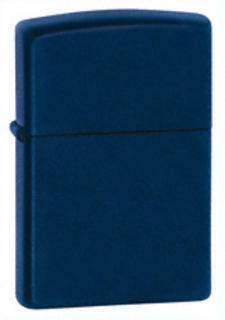 Regular profile solid brass Zippo with navy matte powder coat finish. 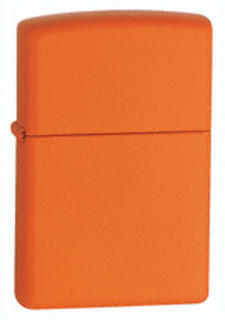 Regular profile solid brass Zippo with orange matte powder coat finish. 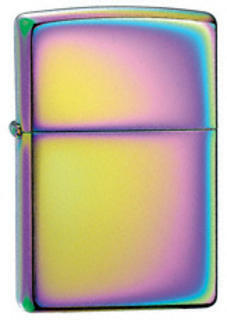 Five dazzling new colors complement Zippo’s rainbow palette of PVD and matte lighters. Candy Apple Red and Cool Kiwi are translucent powder coats that allow the lighter finish to show through. Basic black is back in a rich semi-gloss finish on Licorice. Purple Shimmer sparkles in a metallic powder coat, and Pink Matte blushes with color. Regular profile solid brass Zippo with pink matte powder coat finish. Regular profile solid brass Zippo lighter with royal blue matte powder coat finish. Classic chrome plated lighters are coated to achieve a rich, luminous finish with a kaleidoscope of colors; shimmering rainbow Spectrum. Toffee PVD (Physical Vapour Deposition)finish. 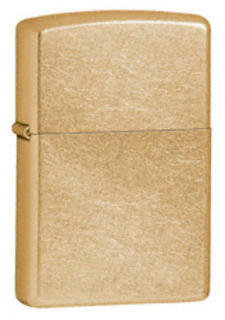 Regular profile solid brass Zippo with translucent toffee powder coat finish. Regular profile solid brass Zippo with high polish chrome finish featuring black leatherette panels and a high polish chrome plate for engraving. 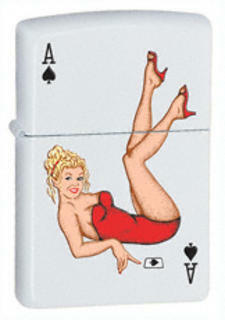 Zippo White Matte Girl "Lady Ace"
Playful Ace of Spades on white matte would bring luck - or at least a smile - to any face. 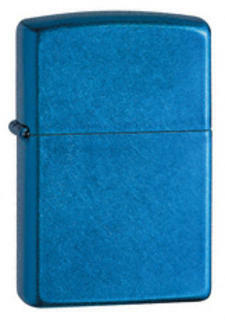 Regular solid brass Zippo with white matte powder coat finish and featuring an Ace of Spades girl transfer on the front. Made in the USA but no longer in the 2014 catalogue. For years, people have been coming to Zippo with design ideas that they would like to see on a Zippo windproof lighter. This year, we gave them a chance to make this dream a reality with the Design A Lighter contest. 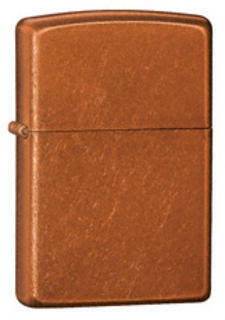 The goal of the contest was to discover fresh designs that might someday be used on a Zippo lighter.